We got our Citrus Lane box for this month and I was really excited along with the kids!! What is Citrus Lane you ask?? It is a monthly box filled with items geared toward your children. You always see the monthly boxes for women with makeup and beauty items. Why not have one for the kid's too? Well this box goes by your child's age which is really nice because you know you are getting something your child more then likely will like. 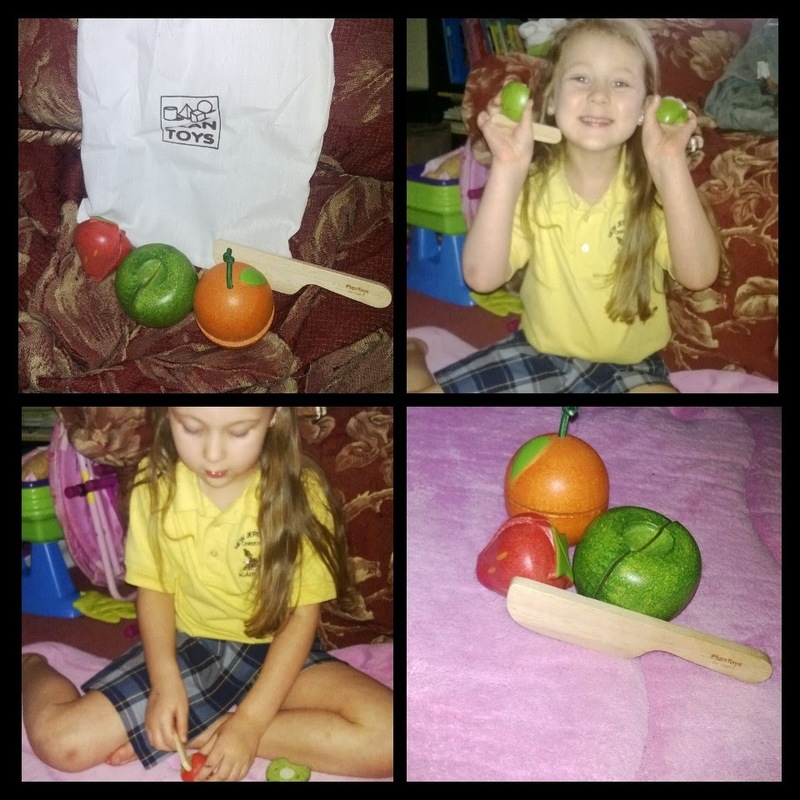 The first item that we received in our box was the a custom fruit set from plan toys made especially for Citrus Lane all children love to play with pretend food and with this unique set from plan toys this set is great it comes with 3 different kid of fruits plus a knife for cutting the pretend food. The fruits hold together with velcro this is also great for fine motor skills. 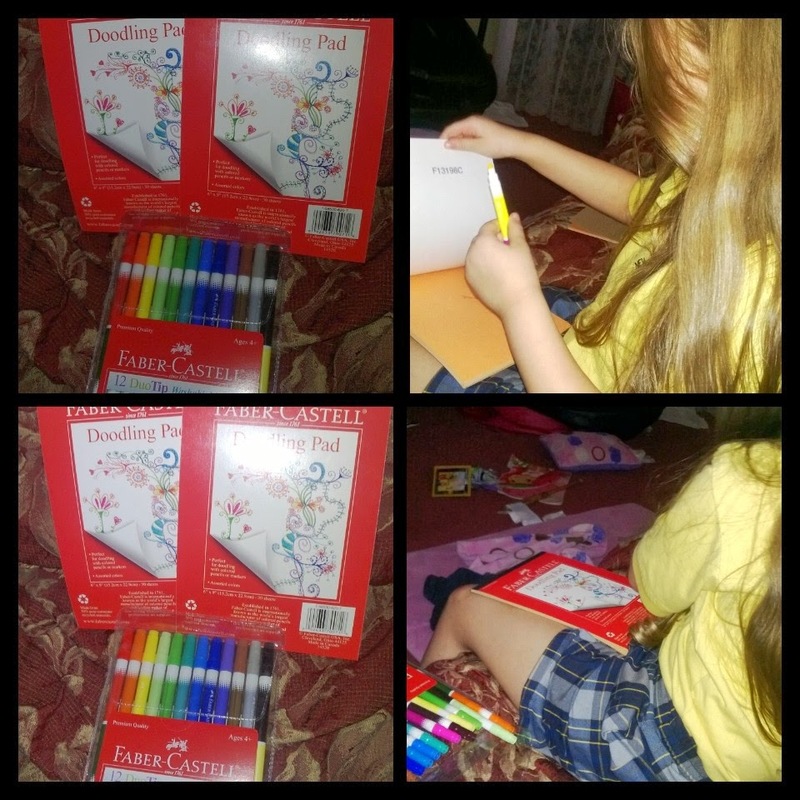 The next item we got is from Faber-Castell they sent a couple doodling pads with a set of markers. With the way my kid's are they go through paper quick they are always wanting to draw and make pictures. This doodle pad has tons of different color paper to choose from and the paper is made of 50% consumer paper and great for travel. Duo-tip markers we absolutely love these double ended markers it has the wide tip and the thin tip customizable for whatever you like. And if you get some on your clothing it will be ok the dye is made from food grade vegetable dye. If the ink is starting to dry out don't worry just dip it in a little water. They recommend these for ages 4 and up but my 2 year old uses these to and loves them. 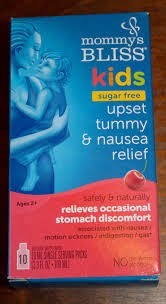 One of the last things we got was the Upset Tummy and Nausea relief from mommy's bliss. 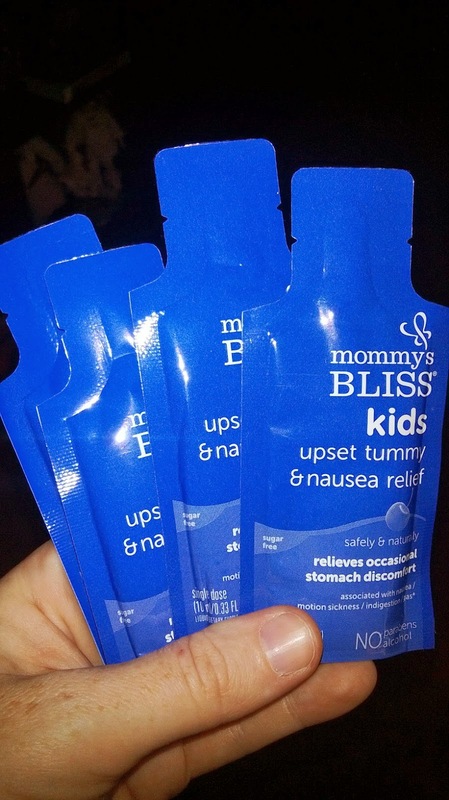 It is hard to tell if your child has an upset stomach, gas, growing pains or what Mommy bliss makes it convient with the single dose packets of the upset tummy and nausea relief . This is a herbal supplement. 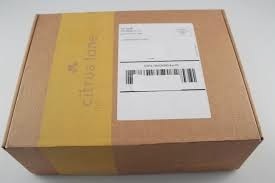 What did we think of our Citrus Lane Box ?? We love our box we have used every single item in the box and they all come to great use. The kid's love cutting the fruit and pretending to cut it for mommy and daddy. Also the pads and markers they are always drawling something so these are good to take places where I know I'll be for a long time. It keeps them distracted!! And lastly for the Mommy's Bliss upset tummy this worked great my son one night was screaming and crying I couldn't make out what was wrong I gave him one of these packets and he went right to sleep. I will be buying this in the future.